Battle for the Galaxy seeks to change the land of Middle-earth into the vast Star Wars Galaxy. Select which kinds of available tutorials you want to browse, or simply browse the full list. New to modding? Start here! On this level advanced modders can also find easy, but useful tips. Everything for the advanced modders who have passed the basics. Do you feel like you're up for a challenge? Do you want your mod to stand out from the crowd? The INI files in BFME are where everything comes together, and with XML/LUA you can do some advanced things not possible with INI alone. This category containts articles related to both. Are you bored with the look of units and other objects in the game, or want to make your own? If you're looking for help on 2D Art, Skinning, Modeling or Animating, the Graphics category is your choice. General articles, ranging from an introduction to modding, to a list of known game.dat errors. This category has the good stuff that doesn't fit anywhere else. EA's worldbuilder is a great tool, but has a steep learning curve. If you want to create maps, or edit some scripts (used by the AI, for example), this is where you will want to look. 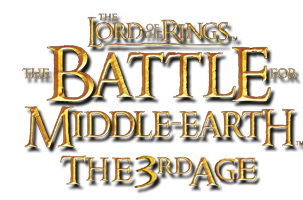 The sequel to BFME, allowing the player to take control of the armies in the north.